German Sport Guns is known primarily in the USA for their ATI imports of .22LR cosmetic clones of the AK47, M1911, WW2 ST44, WW2 MP40, and the H&K MP5 series. GSG has also been the company behind the SigSauer Mosquito and SigSauer SIG522 series as well as also selling their .22LR 1911 with the SigSauer name on it. This shouldn’t be a big surprise to anyone that noticed GSG was purchased by SigSauer’s parent company L&O Group. 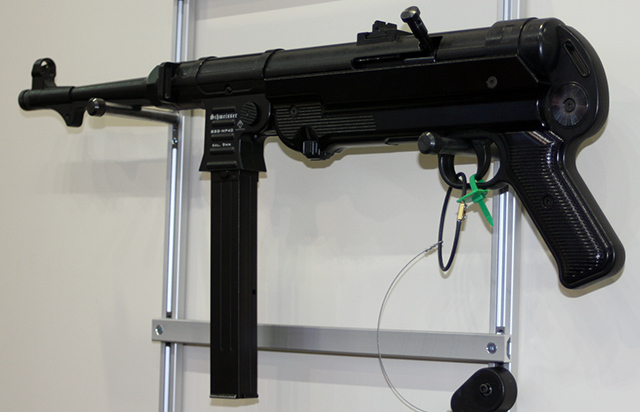 At SHOT 2015 they showed off another version of their MP40, in the original 9mm. 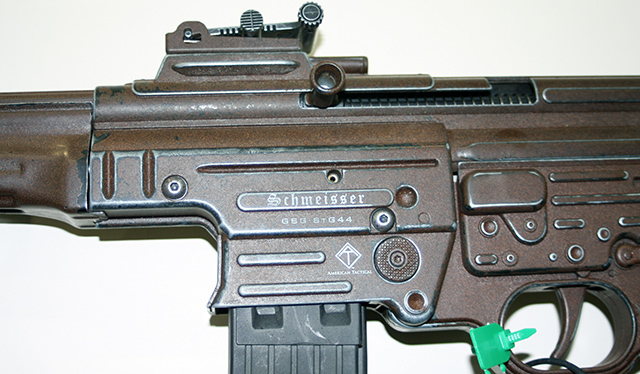 Nicknamed the Schmeisser (even though the famous designer had nothing to do with the design) the MP40 will be converted to semi-auto and firing from a closed bolt. the gun will stay in it’s SBR form for sales in Europe but in the USA will be offered as a pistol with a 9.9 inch barrel and as a rifle with a faux silencer to give the barrel the 16 inch barrel requirement. Tooling hasn’t been made yet and imports aren’t expected until 2016 with no known MSRP. Rather good news as it is anyhow. 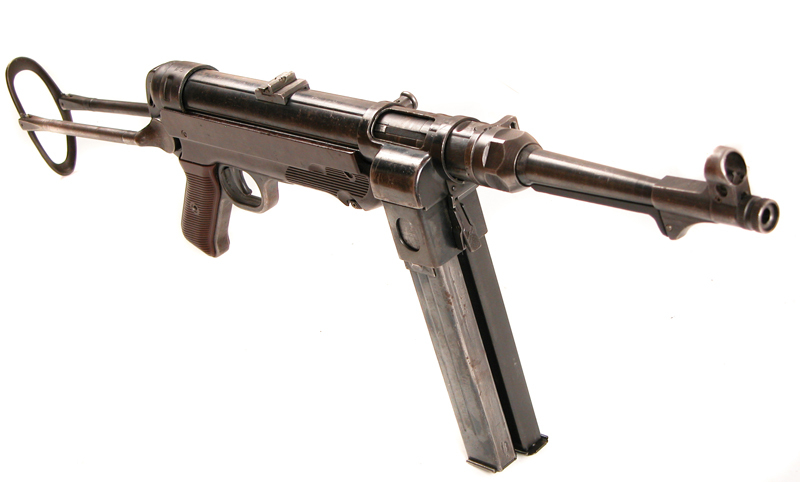 Steyr made WW2 Nazi MP40 marked “bnz”. Photo RJ Militaria. 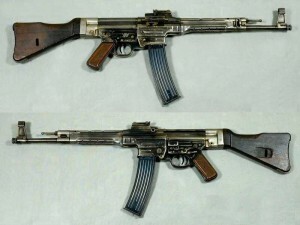 Also shown is a faux weathered STG44 in .22LR for that battlefield pickup or discovered treasure look. 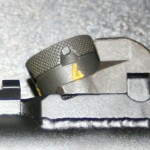 In this case Schmeisser was involved with the design. 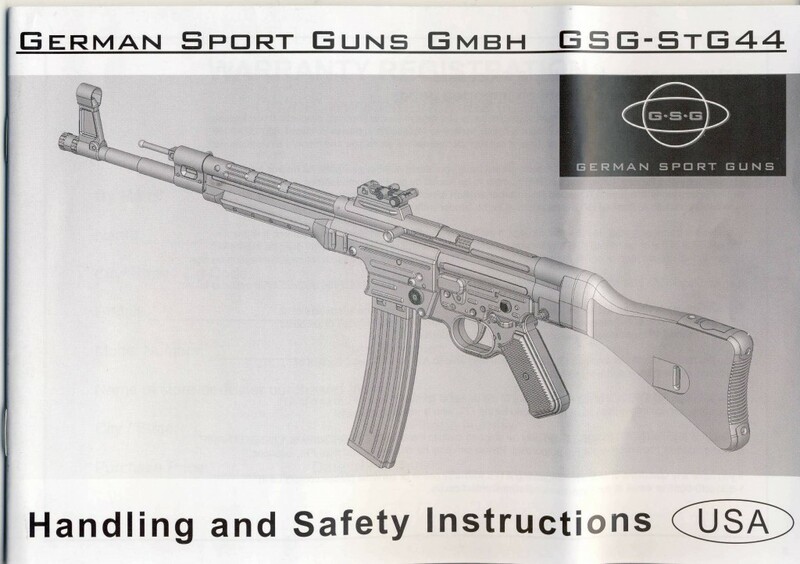 ATI doesn't currently have the GSG-STG44 manual available in digital ..